Domino’s Inc. is the second-largest pizza company in the world based on the number of units and retail sales. The company sells over 1.5 million pizzas globally each day. 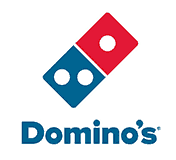 Founded in 1963, Domino’s currently has over 13,000 company-owned and franchised locations worldwide. The company operates in all 50 of the United States and has locations in more than 70 other countries. Domino’s earned $6.1 billion in the United States sales in 2018. The total estimated initial investment of starting a Domino’s franchise business ranges from $99,950 to $561,000. The initial investment includes a wide range of expenses such as the initial fee, furniture and equipment, inventory and supplies, advertising, training, and insurance expenses. Joorney Business Plans has extensive experience in developing long-term financial projections for Domino’s restaurants. The franchisor approves the restaurant location. The franchisees will not receive an exclusive territory, except in the case of a traditional store franchise agreement where the area of primary responsibility is assigned. The area of primary responsibility is approximately a 1-mile radius around the store, a 1-mile radius from a street intersection, or a written description equivalent to a 1-mile radius. In densely populated areas the assigned area of primary responsibility is a ½ mile radius. Domino’s will not operate or grant a franchise for a restaurant whose area of primary responsibility overlaps the area of primary responsibility. Joorney Business Plan Writers develop in-depth competition and market analyses helping franchisees estimate their growth potential and operating expenses in a specific territory. Domino’s provides training for specific franchise employees. The franchisor has the right to charge a training fee for these training programs or classes. The franchisee will be responsible for the travel, living expenses, and any other costs incurred during these training programs and classes. The franchise holder is responsible for training the employees to legally, safely, and properly perform duties, to follow appropriate procedures for their own safety and well-being of the public. Joorney Business Plans develops detailed personnel plans and links the proposed employees’ training to their designated roles. Domino’s is continually working on innovative traditional and online advertising strategies. The company invests in technological innovation, especially digital ordering services, such as the one that allows customers to order using pizza emojis in a text message. Other marketing efforts include extensive advertising through television, web-based promotions, radio and print, targeted mailings, and affiliations with brands such as Coca-Cola. The franchisee is expected to participate in all national, local, and regional advertising and promotions and pay 4% of the weekly royalty sales of the restaurant to the advertising fund. Joorney Business Plan Writers help in writing advertising and marketing strategies and developing budgets in line with the franchise agreement. The main benefit of starting a Domino’s franchise is that it is one of the most recognized names in the pizza industry. Another distinct benefit of Domino’s is that it mostly focuses on carry-out and delivery, which makes day-to-day operations easier and simpler. In addition, the company has an established market of customers and a proven system of profitability.